With so much candy out there, it’s hard to pinpoint exactly what kind of candy will be both satisfying to Trick-or-Treaters and those who treat them. The best suggestion is to get candy that you and your family enjoy! This year, there are a few really cool offerings as well as some classic candy that you can never go wrong with! This year, Hershey’s has decided to add recipes and ideas to the back of their Halloween candy bags as part of their “Celebrate with Hershey’s” campaign. As such, when you pick up that bag of Kit Kats, York Peppermint Patties, or Reese’s, you will also be getting a cool idea to take your treats to the next level. In addition to the treat tips, Hershey’s has revamped some of its candy bags. Check out the penguins on the York Peppermint Pumpkins! Finally, Snickers is back with its ghost-laden X-Scream bars. 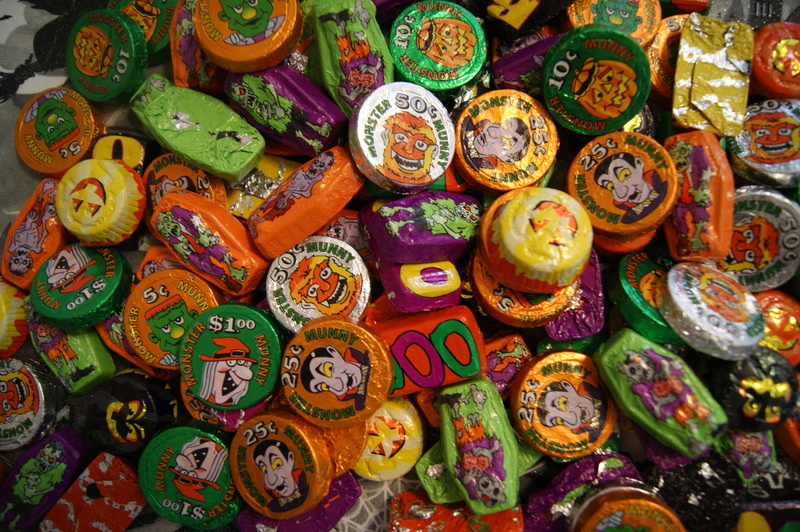 What is your favorite Halloween-themed candy? Share it with us in the comments below! 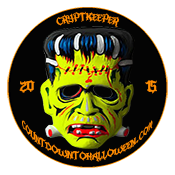 The Countdown to Halloween continues with a look at some of the sweetest treats available this year. 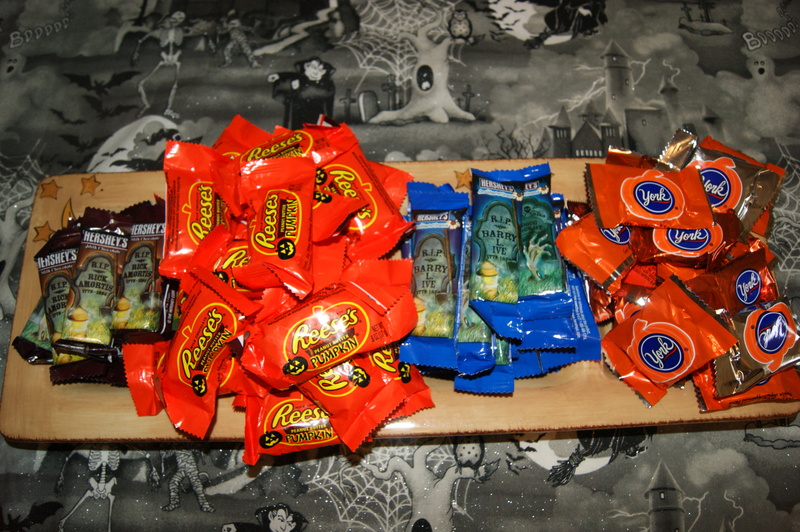 Halloween Treats are in abundant supply this year. Rice Krispies Treats have gone into full-on Spook Mode this season. The classic Kellogg’s sweets are now being offered as Halloween “mini-squares”. 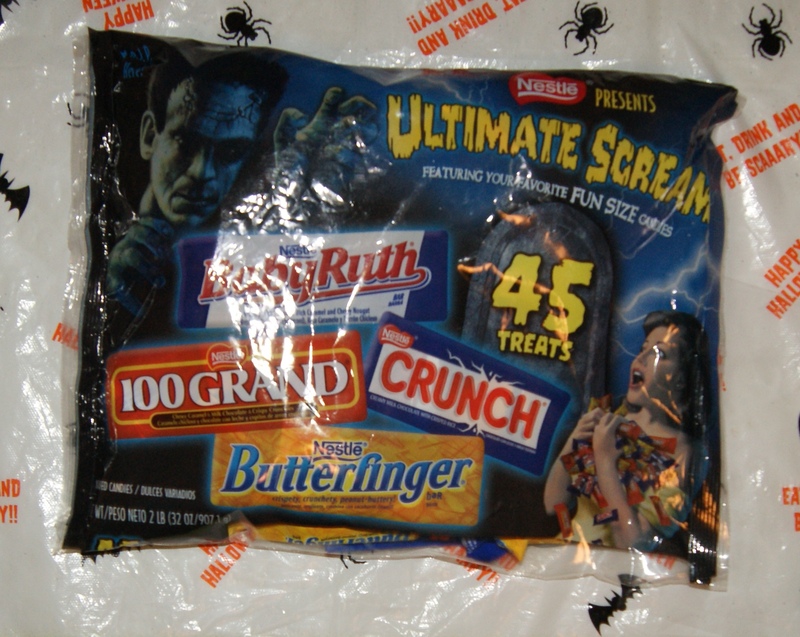 Each box of Halloween Treats features 60 individually-wrapped snacks, all of which come in fashionably-freaky packaging featuring black cats, pumpkins, and spiders. The fantastic box artwork is featured below. These can be found at multiple retailers, including Target and Shopko. Stauffer’s is also getting in on the Halloween festivities. They have released individually-packaged shortbread cookies. But these are no ordinary shortbread cookies, they are Halloween-shaped shortbread cookies. From ghosts to witch hats, these cookies are brimming with Halloween spirit. Plus, the bags are absolutely boo-tiful. Another company spreading Halloween cheer is Pillsbury. The Dough Boy is bringing his inimitable Funfetti flavored cake mix to the Halloween Harvest Table. This mix is certain to bring Halloween fun to a spirited new level. So be on the lookout for these creepy concoction is stores now. In the meantime, share your favorite Funfetti recipes in the comments below!